Win a Furls Crochet Hook & Dionne Shawl Kit! Our friends at Furls Crochet sent us one of their gorgeous, handcrafted Rosewood crochet hooks. It’s so pretty, but I’ll admit I wasn’t sure how it would feel to switch from my skinny, straight hooks to the thick, tear-drop shape of a Furls Crochet hook. It’s actually an ergonomic design, intended not only to protect your hand, but also to improve the quality of your stitches! Here’s a quick video from Furls, which explains how this shape compares to regular crochet hooks. I whipped up a swatch in Berroco Mixer using the stitch pattern from Dionne. It probably took the first repeat to find my most natural grip. By the end, I noticed that my motions were more relaxed, almost effortless. Win your own Furls Crochet Hook & Dionne Shawl Kit! 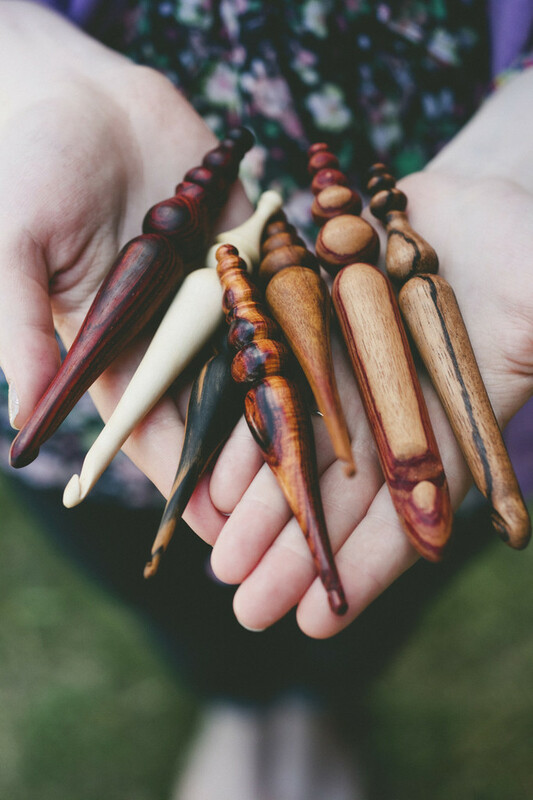 Furls Crochet is giving you a chance to win one of these special hooks (size F) in your choice of wood (options include: Olivewood, Tulipwood, Cocobolo, Bloodwood, Purpleheart, Rosewood & Blackwood). 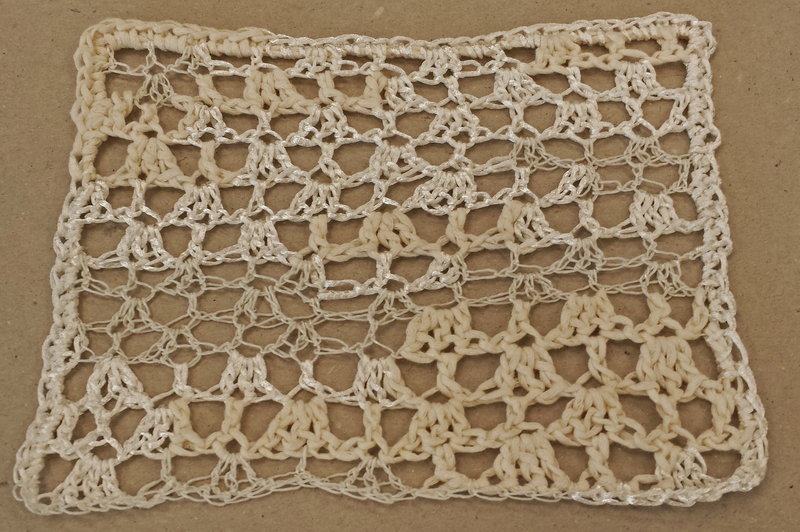 We’re throwing in the yarn and pattern to make our Dionne shawl. Details: The giveaway ends on April 8 at 11:59pm(CST). One winner will be chosen at random on April 9 and announced on our blog. You must be a resident of the U.S. or Canada to win. Thank you for hosting such a wonderful give-away, and adding some beautiful yarn. Winning would/will be so exciting! Love the wispy texture…..great for summer! I’ve been saving up my classroom fees to buy this hook; thank you for increasing my options! I am not a very good crocheter – yet – but working with such beautiful tools should make me an expert in no time! What a great giveaway. It would be very exciting to win. Thanks for the opportunity! Both the tool and the wrap are beautiful! Thank you for such a wonderful give-away!